CAN A POOR SINNER COME HOME AGAIN? When Charlie visited London in the 1970s he made a stop at The Salvation Army hall on Kennington Lane in South London. He was fortunate to evade all publicity and the event only became known to the general public recently. It was in this same SA hall that Charlie Chaplin participated in meetings as a child. He shared his childhood memories with a few officers who recognized him seated among the congregants. However, most of those in the congregation did not notice or recognize him. He entered the hall as the meeting began and during the singing of the opening song he seated himself in the last row. 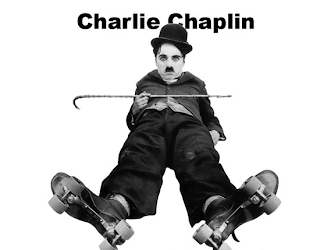 Chaplin had much on which to reflect… His childhood in this London neighborhood had been tumultuous and unhappy. His father drank himself to death, His mother became mentally unstable and was remitted to a mental hospital , And, Charlie was placed in a home for destitute and abandoned children. Subsequently he was ‘placed’ with a woman who was to care for him, but she threw him out ! The police found him at 3:00 in the morning, huddled on a street corner and so frozen that he appeared to be “blue”. "Don’t try to be Superman. You can’t do it all. Resist the urge to let your church set you up as the “big man on campus”. You’ll only be setting yourself up for a fall. Don’t even get me started on the whole “Senior Pastor” thing… it’s a dangerous trap. Lead alongside other leaders in your church, not above them. You’re not a CEO, you’re a shepherd… an undershepherd, at that. Forget what the Church has bought into with the whole “clergy/laity” thing. It’s a lie, and it’s completely unbiblical. Yes, God has ordained leadership in the church, but teach your people that you are no “better” than they are; you’ve only been called to a different role. Teach them who they really are in Christ — that they are the church. Don’t be timid — tell them the truth — that their mission as Christians is not to come and occupy a seat every Sunday so you can fill up their spiritual tank, and then they’re done for the week. Remind them again and again that they are the church, and that if the mission of Jesus is going to be accomplished, it is going to happen through them being the church. Teach them that the Church is not some place they go to watch the pastor do ministry… but that ministry is what happens through their lives. Then, (and this is critical), give them your blessings and unleash them to go and do ministry in whatever ways God burdens their hearts for… whether it has anything to do with your church or not. Remember, it’s not about your church. It’s about the Mission of Jesus Christ. I believe that church pews across America are filled with people who are gifted and ready to explode into ministry, but they’ve never been given “permission” by their pastor to do it. This will be one of the greatest things you will ever do for your church, and for yourself." -80% of pastors believe pastoral ministry has negatively affected their families. Many pastor’s children do not attend church now because of what the church has done to their parents. -90% of pastors feel they are inadequately trained to cope with the demands of ministry. -Only 1 out of every 10 ministers will actually retire as a minister in some form. -The profession of Pastor is near the bottom of a survey of the most-respected professions. -Over 4,000 churches closed in America last year. That’s more than 10 every single day. -Many denominations report an “empty pulpit crisis”. They cannot find ministers willing to fill positions. 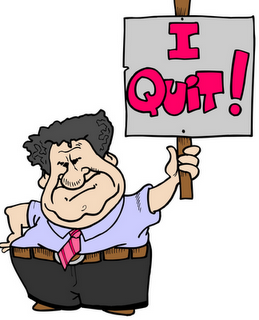 -More than 50% of all pastors are so discouraged that they regularly consider leaving the ministry. -80% of seminary and Bible school graduates who enter the ministry will leave the ministry within the first five years. -85% of pastors said their greatest struggle is dealing with problem people such as disgruntled members, elders, deacons, worship leaders, worship teams, board members, and associate pastors. -90% said the ministry was completely different than what they thought it would be before they began. -80% of pastors’ wives feel left out and unappreciated by the church members. -80% of pastors’ wives wish their spouse would choose another profession. -50% of pastors’ marriages will end in divorce. -70% of pastors constantly fight depression. What in the world is happening? Something has gone horribly wrong. And I didn’t even bother to include all the grizzly statistics of the pastors who get involved in adultery and other horrid things, often with members of their own church. But you’ve already seen enough of that on the news, as has the rest of the watching world… ad nauseam. I have to tell you, this stuff really shakes me up, not only for all the obvious reasons, but because I’m a pastor, and I know I’m not immune from any of this mess. I think about my family, our church, the cause of Christ, and it makes me tremble to consider what’s at stake." But why didn’t Obama also admonish Muslims everywhere to ignore the pastor and refrain from violence?" Eight new cadets have start finished their first week of a three year training to become Salvation Army Officers in Latvia. The welcome meeting will be the 12th of September in Riga. The General has appointed Lt Colonel Marie Willermark to be the Territorial Commander for Sweden/Latvia from the 1st of February 2011. Lt Colonel Willermark was commissioned as an officer in 1980 and has spent many years in divisional and national youth work. She served for three years in Denmark as a divisional commander (1996-1999), then for five years as a corps officer in Jönköping, before coming to Stockholm, Sweden, again as a divisional commander. 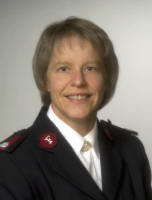 Major Willermark is thankful for her appointment in Ukraine and feels blessed to be serving Christ and building his Kingdom in fellowship with the officers and soldiers in Ukraine. “The officers and soldiers here have an unique awareness of the local culture, needs, and how to relate to people in the language of both words and service”, she said. “I also feel privileged to be able to contribute with my experience. I would like to encourage and equip leaders to have a passion for winning souls and be comfortable with the structure of the Salvation Army.